You can perform an in-place bounce-and-replace for all audio, software instrument, and Drummer tracks in the Tracks area. 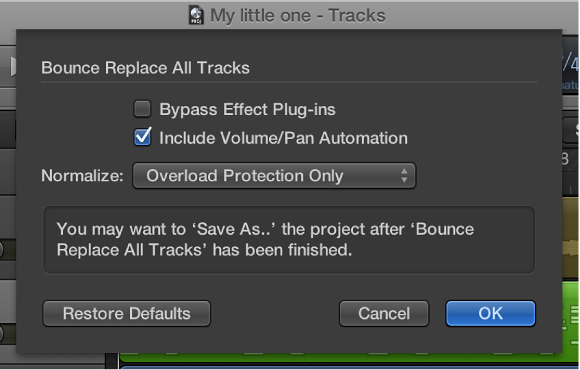 Choose File > Bounce > And Replace All Tracks. You are prompted to save your project; click Yes or No, as appropriate. Click OK to trigger the in-place bounce-and-replace for all tracks.